All lilac bushes are fast-growing shrubs that add at least 6 to 8 inches of growth per year. The old-fashioned lilac that likely grew in grandma's garden, however, tops the others in its rapid rate of expansion. Common lilac (Syringa vulgaris) spreads by sending out suckers in all directions, causing some gardeners to consider it invasive. This variety produces a two-week spectacle every May, when it explodes with fragrant, tubular clusters of flowers. Lilacs are fast-growing shrubs available in hundreds of varieties. There are hundreds of hybrids and clones of the common lilac. These deciduous shrubs grow anywhere from 8 to 15 feet tall and wide. 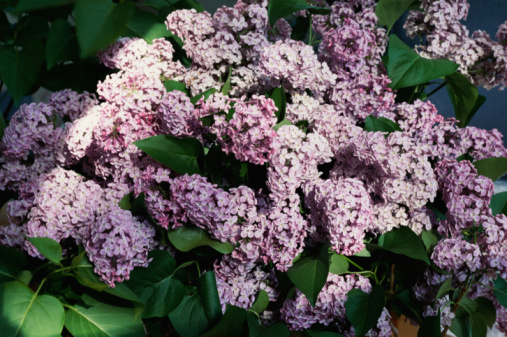 Light purple panicles are most often associated with the classic lilac, but the single or double blossoms are available in blue, lavender, pink, violet or white. The flowers bloom for several weeks in late spring to early summer. When mid-May arrives, lilacs are a sight to behold. But for the rest of the year, these shrubs tend to be quite ordinary looking. They are ideal in groups as a screen or windbreak and can also be used in single specimens to soften a corner. 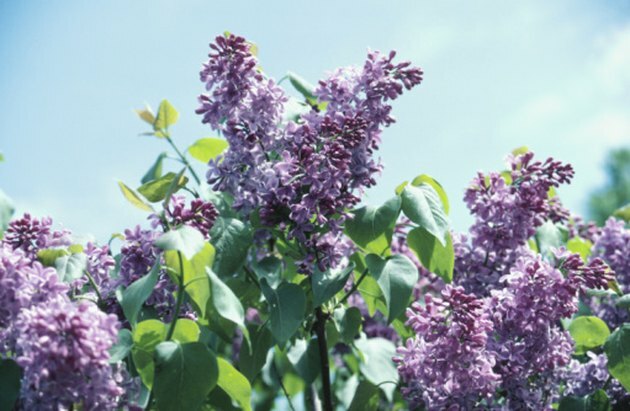 Pair them with lower-growing shrubs to provide interest after the lilac blooms fade. That's when Syringa vulgaris will fade into the background. Hardy in U.S. Department of Agriculture zones 3 through 7, common lilacs perform best in full sun. They need plenty of space for air circulation, which reduces the chance of powdery mildew. Plant in the spring or fall. These shrubs may take several years to bloom, but are extremely adaptable and easy to grow. The flowers grow on old wood, so prune them immediately after blooming and at no other time. The flowers of the lilac bush have an old-fashioned appeal. Panicles 4 to 8 inches long dangle from the branches just after the dogwood trees begin to bloom. The scent of these aromatic blooms turns some people off, as it is quite sweet and strong. Others adore the fragrance. Lilacs make excellent cut flowers for indoor arrangements.